Thousands of locals showed their support for Hamburg’s candidacy to host the Summer Olympic Games in 2024 in spectacular style yesterday. 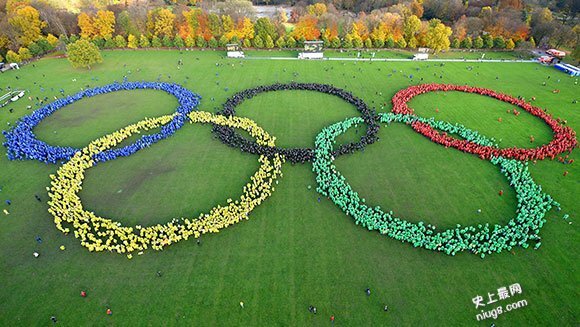 Organised by model railway attraction Miniatur Wunderland (Germany), members of the public were invited to form the Largest human image of the Olympic rings at an event at Stadtpark, a large urban park in the Hamburg district of Winterhude. A remarkable 6,211 participants joined the successful attempt, significantly raising the record of 5,963 people which was previously achieved by Sefton Schools (UK), in Crosby, Sefton, Merseyside, UK, in honour of the London 2012 Summer Olympics. The rings are the symbol of the Olympic Games, representing the union of five continents and the meeting of athletes from all over the globe, and they contain five interlocking circles coloured blue, yellow, black, green and red. The people in each ring wore the same colour clothing so that the overall image of each section was one block of colour. 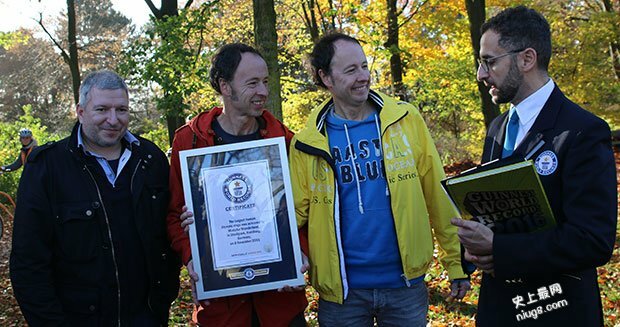 The counting of the participants was then confirmed by the auditing firm BDO before Senior Vice President of the Records Management team at Guinness World Records, Marco Frigatti announced the new record and presented an official certificate. Hamburg was chosen by Germany’s national Olympic committee as its candidate city and the bid needs approval in the city referendum later this month - but Paris, Rome, Los Angeles and Budapest also are bidding for the 2024 Games.